This is a great fall smoothie that I have made in my fall kids cooking class. 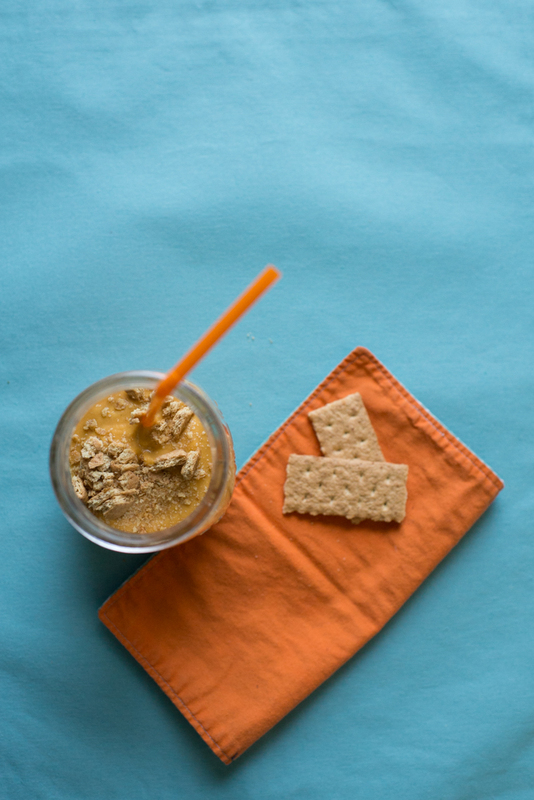 Kids love smoothies, and this one has the added fun of crushed graham crackers on top. Kids love to crush the crackers, too! With protein from the yogurt and milk, fiber, vitamins and minerals from the fruit and pumpkin, this makes a great mid-morning or afternoon snack! 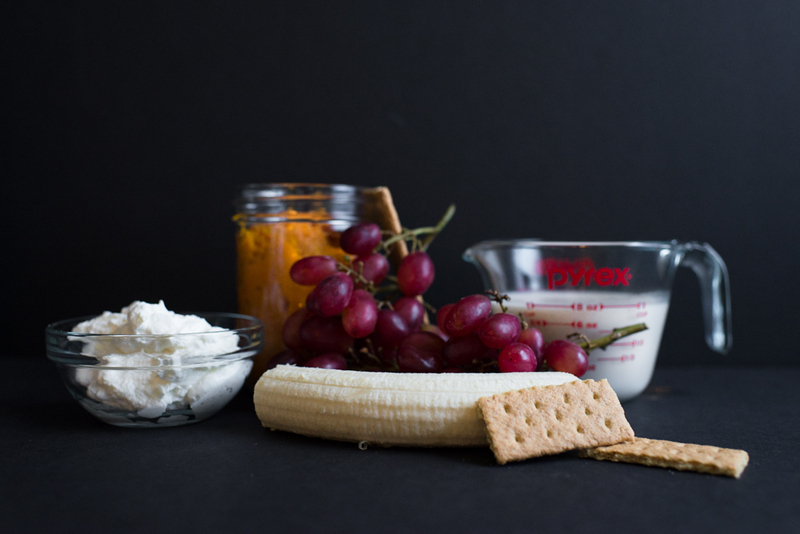 Use allergy friendly substitutions for yogurt and milk to suit your family's needs and use a gluten-free crushed cookie if wheat or gluten are a concern. Place first 8 ingredients in blender and blend on high until smooth. Pour into cups and garnish with an additional dash of cinnamon and a teaspoon of graham cracker crumbs if desired. This is a great way to introduce pumpkin spice flavors to babies as the ingredients are smooth and blended. Add less ice to get babies accustomed to the cold temperature.